Thursday night, a dozen residents of the neighborhood just north of the northeast portion of Metro Plaza Park (where the “guerilla playground” is located) turned out for a PSA 107 meeting to complain about alleged increased criminal drug activity in the park. The diagonal walk across the park separates an ad hoc children’s playground from what neighbors allege is an ongoing drug market and continuing public nuisance. The latter issue refers to non-criminal quality of life issues concerning overnight sleeping in the park, in nearby yards, on porches and in unlocked cars; trash and refuse accumulation, and harassment of women who walk through the park. According to residents, the ordinary crowd of homeless people who use the park has recently witnessed the arrival of a “new element” in the park– that is, people who appear to be selling drugs and encouraging disorderly behavior. Lt. Eddie Fowler, MPD’s representative at the meeting, called the description of the activities “definitely unacceptable” and said he would call in the MPD vice unit and in addition, detail an officer on each shift to keep tabs on the park. The neighbors also expressed concern about the larger problem which goes beyond the ability of MPD to solve. For example, clearing the park of loiterers serves to drive them into the adjacent community, leaving unanswered the question of how to address this problem in a meaningful way. Several neighbors expressed support for a community meeting involving various stakeholders: the MPD, neighboring fast-food business whose refuse contributes trash, Community Connections, and other city services. 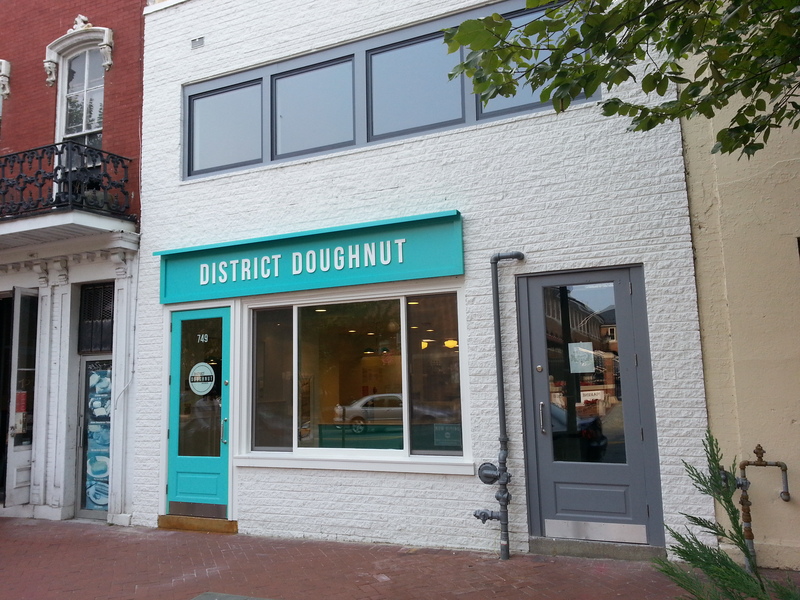 The coordination of such a meeting would seem to fall under the auspices of ANC 6B – particularly those commissioners whose Single Member Districts include or border the Plaza (in this case, Commissioners Frishberg, Pate and Oldenburg). Only one ANC6B Commissioner was present for the meeting – Kirsten Oldenburg whose SMD ANC6B04 borders the east and much of the south sides of the park. Oldenburg left the meeting during the discussion and was not present for the part of the meeting where community action was discussed. 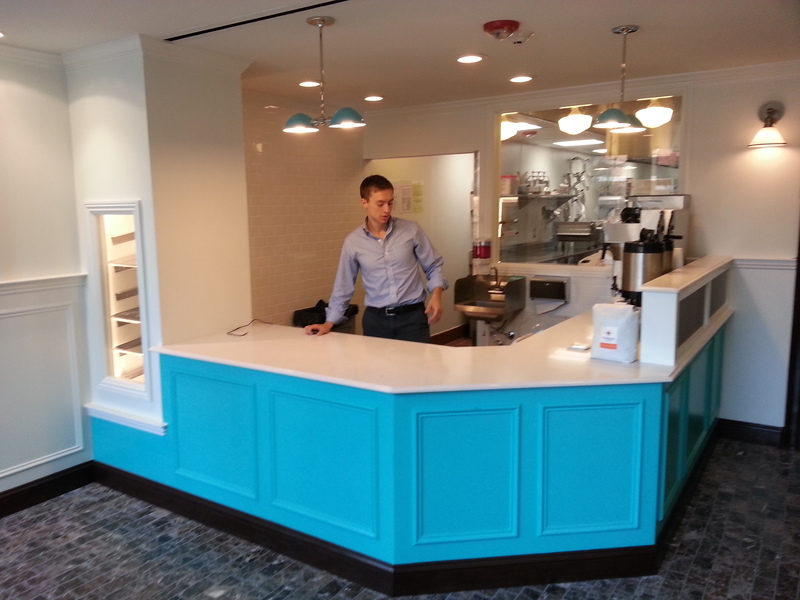 “Radice” (“roots” in Italian) – in the location of the former Silver Spork –is undergoing an August remodeling. 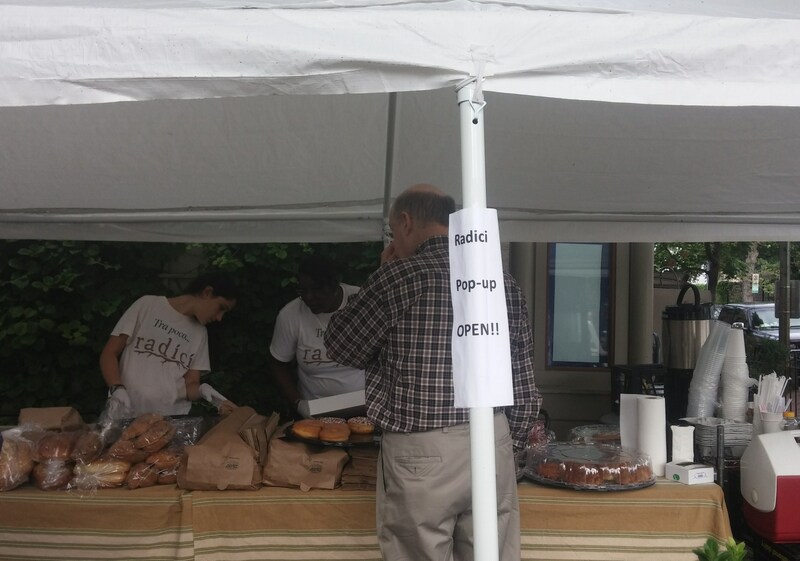 Today, the Italian specialty shop and deli served patrons in a popup in the venue’s outdoor café area. ANC6B holds a community meeting, 7:00pm – 9:00pm, to discuss status and outcomes of the Office of Planning’s Barney Circle-Southeast Boulevard Planning Study, at Hill Center. The deadline for filing a petition to run for ANC Commissioner is Wednesday, August 6. To become a candidate, a nominating petition signed by 25 registered voters in a candidate’s Single Member District (SMD) must be filed with the DC Board of Elections by that date . These nominating petitions will be posted in the Board’s office for a ten-day challenge period during which any registered District voter may challenge the validity of any petition by a written statement signed by the challenger and filed with the Board. The statement must specify concisely the alleged defect(s) in the petition. Petitions are declared invalid most frequently because residents who are ineligible to sign them are disqualified, which takes the number of signatures below the required 25. Following is a list of the Single Member Districts in the four Ward Six ANCs which comprise Capitol Hill, the current commissioner for each SMD, and the potential candidates who have picked up nominating petitions as 5:53pm on August 1 (according to the DC Board of Elections) to get their names on the ballot in the general election in November. ANC6A01 – (J. Omar Mahmud, incumbent) Candidates: Raphael V. Marshall, Andy Clark, J. Omar Mahmud. Wednesday night, Eastern Market manager Barry Margeson told the Eastern Market Community Advisory Committee (EMCAC), that a draft policy regarding the rules and regulations for “everybody who is on our space” was currently under review by ​city lawyers and the new policy takes effect, Eastern Market will permit political petitioning​. It was unclear whether petitioners will be restricted to a certain area or areas under the Market’s control. Broadening the policy to permit – (at least) political petitioning – will not come without some grumbling by the Eastern Market street vendors who view the petitioners and other vendors as problematic because they interfere with access to their businesses. Artist Joe Snyder who operates a stand on 7th Street on weekends said petitioning is a distraction for vendors. Vendor Anita Jefferson said petitioners impede traffic and thus impede public safety. The petitioning issue illustrates some of the multi-dimensional tensions that exist between Eastern Market and the community which are being addressed in a piecemeal fashion, speaking to the need for a new stronger market governing structure to better coordinate the resolution of problems as the Market moves forward in a more competitive environment which is characterized by a changing demographic. The outside vendors contribute substantially to the financial stability of the market, but often fail to acknowledge the sacrifices the community makes in order to provide them with space to operate – e.g., the closing of 7th Street – and the parking difficulties nearby residents encounter on weekends as the market becomes more of a destination rather than a walk-to food outlet. And although a more rigorous enforcement of the parking policy in the spaces between the market and the natatorium has made more parking available to shoppers on weekends, the inside merchants are not convinced that the closing of 7th Street to accommodate street vendors has worked to their benefit. ANC6B is currently working with DDOT to develop a parking policy to help protect weekend parking for residents close to Eastern Market. ANC6B Commissioner Ivan Frishberg said that the petitioning issue went beyond leaving it up to lawyers who can find a way to defend anything, noting “this is our town square.” He said “we don’t want anything promulgated without EMCAC and ANC(6B) review.” Frischberg said he would like to see the draft policy at the next meeting (which won’t come until near the end of September). Margeson agreed to refer the draft policy to the ANC. The petitioning issue received city-wide attention owing to a recent news report by WRC/NBC TV reporter Tom Sherwood who witnessed the prevention of political petitioning on space controlled by Eastern Market. Sherwood not only tweeted about it but called the Mayor’s Office, Council Member Tommy Wells’ office, and the Department of General Services. He subsequently received assurances from DSG that they had no intention of banning political petitioning at the market. 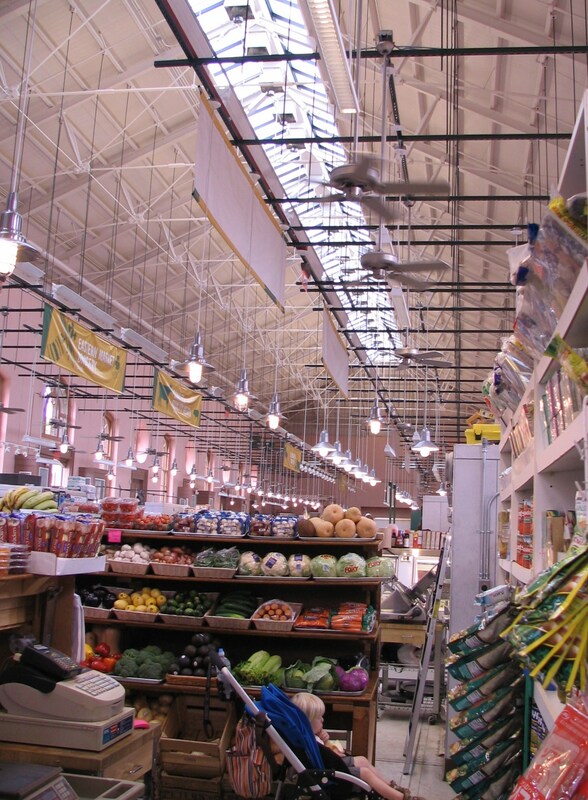 A required biennial audit of Eastern Market operations by the DC Auditor found substantial financial mismanagement and raised questions about the future of Eastern Market which will soon face competition from two area Whole Foods and a possible Rodman’s Discount Gourmet in the future Hine development. The audit for the period October 1, 1010 to June 30, 2012, revealed that the double rents which South Hall Merchants are required to pay until they agree to new leases (the current leases expired in June and December of 2008) were not collected by the Department of General Services (DGS). Since the expiration of the leases, the audit found, no South hall merchant has entered into a new lease agreement. Merchants continue to operate under the double rent penalty, but DGS is not collecting double rents because, according to the report, DGS believes it unrealistic. Presumably, the actual amount owed the city by merchants is much higher, given the figures apply only to the audit period. 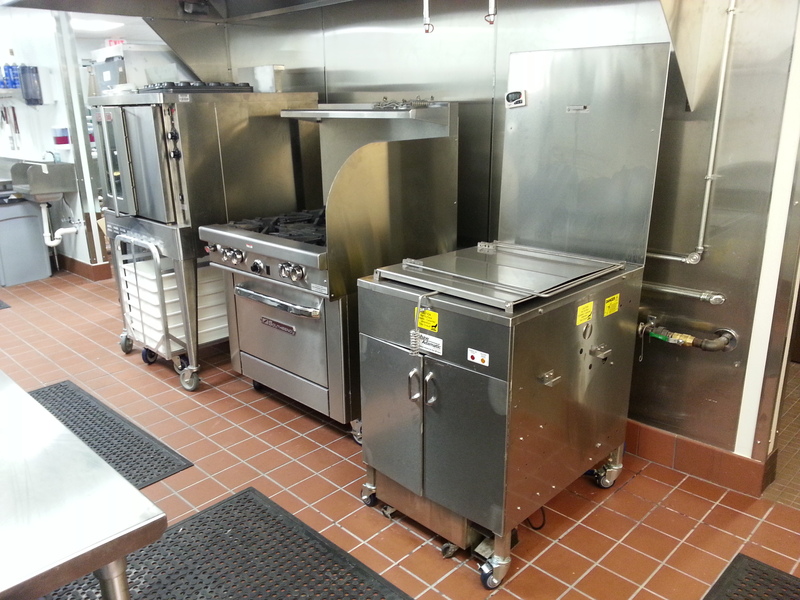 Negotiations to increase the rent and enter into new lease agreements have been unsuccessful. The auditor, deferring to DGS’ judgment regarding the collectability of the outstanding rents, recommends only that merchants be assessed some $3,500 in unpaid late fees. The audit also found a lack of complete records of events in North Hall during the audit period, as well as incomplete records for outside vending. In a written response to the report, dated July 11, 2014, DGS Director Brian Hanlon addressed its recommendations, agreeing to execute “best efforts” to enter into new lease agreements after a market rent appraisal, but warned, “It is not clear that sales volume for Eastern Market South Hall merchants can support market rents.” Hanlon also agreed to send collection letters to merchants by August 30 regarding payment of late fees – under threat of enforcement of collection of the double rent provision. Hanlon noted regarding two other recommendations – a standard contract for rental of North Hall and monthly accounting provisions – that remedies have already been put into effect. If Hanlon’s speculation about the low sales volume for South Hall merchants is borne out, it would not augur well for Eastern Market’s future unless​ radical changes​ are made to the composition of vendors and/or marketing​. Eastern Market Community Advisory Committee (EMCAC) board member Chuck Burger is spearheading an effort within EMCAC and the local business community to develop a marketing plan for Eastern Market. It is unclear what the status of the plan is. EMCAC met Wednesday night, but though the Auditor’s report had been released that day, the matter was not brought up, either in the Market Manager’s report, or by any member of the Committee. EMCAC serves as an advisory board regarding market operations. 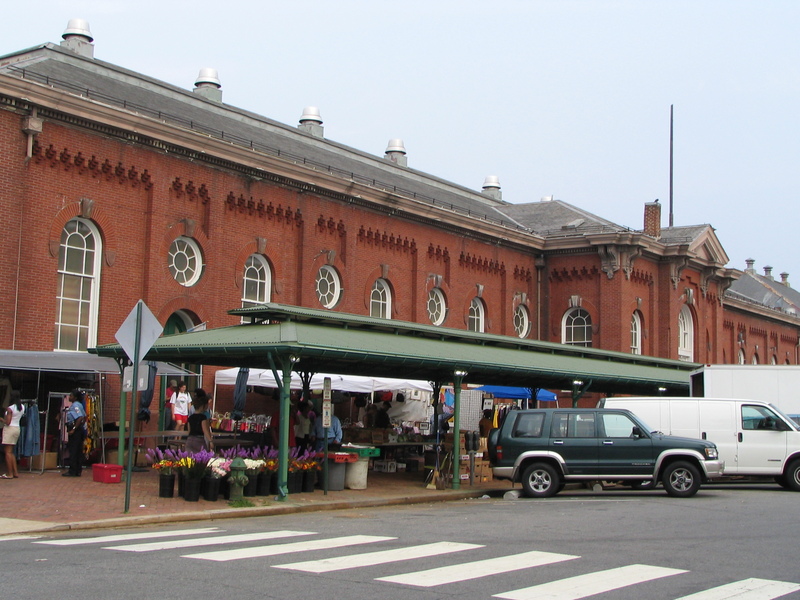 Legislation to restructure the Eastern Market governing board to provide decision making management authority proposed by Councilmember Tommy Wells last year, fell victim to opposition by Mayor Gray, and despite rumors to the contrary was not revived last January.